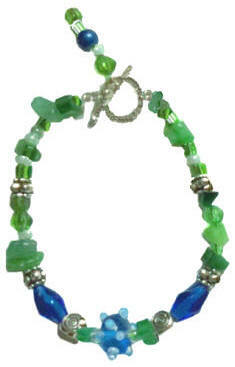 So beautiful with glass beads and Swarovski crystals. 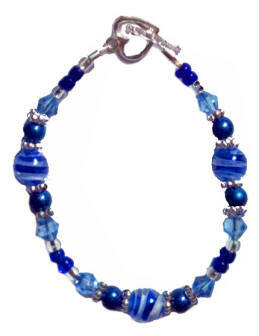 The focal bead has a hand painted design on top of the bead. 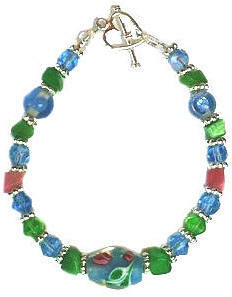 Bright glass shards are also used to accent the pink in the main focal bead.